See the ancient city of Silves, once capital of the Algarve. 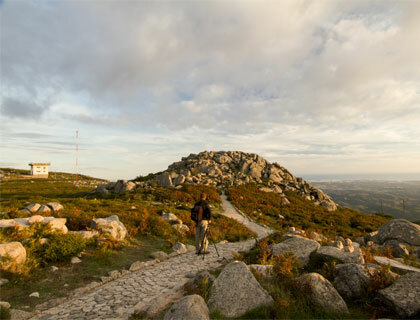 Don’t Miss: The views from Foia, the highest point in the Algarve. This tour delves into the Algarve's rich and fascinating past, starting with a visit to its former capital, the ancient city of Silves. You’ll also visit the highest point in the Algarve in the town of Foia, as well as the traditional hillside village of Monchique. Long before Faro became capital of the Algarve, the honour belonged to the ancient city of Silves. Your trip to this fascinating, historical city includes a visit to the splendid Moorish Castle and 12th century cathedral. Next is a drive up to Foia, which at nearly 3000ft is the highest point in the Algarve. From here, on a clear day, you can see across to the Atlantic Ocean. The tour continues to Monchique, a traditional village nestled in the scenic hillside. Finally you will stop at Caldas da Rainha (“Queen’s Spa”), which is famous for its hot springs and pottery. Here you can enjoy some free time for shopping and browsing the local handicrafts.